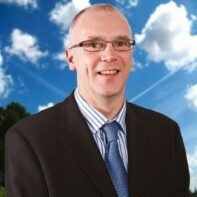 Eamon Walsh is an independent candidate for Galway West. Though he has never been elected as a public representative, Walsh has been an active campaigner on behalf of people with disabilities for the past ten years. Walsh is a partner of CommandIT, a Galway-based computer and telephone systems company. He also lectures in Management Information Systems in Galway-Mayo IT on a part-time basis. Walsh is the Chairperson of Hope4Disability, a parent lobby for people with intellectual disabilities in Galway.